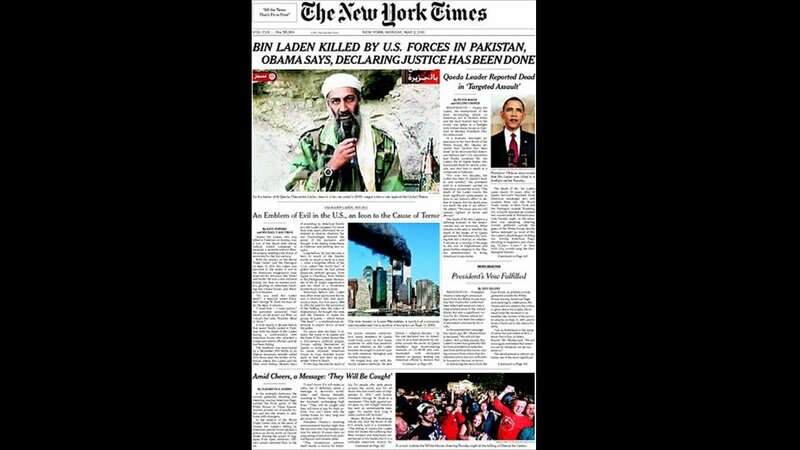 The US's New York Daily News reported the death of Bin Laden using a graphic headline: "Rot in Hell". 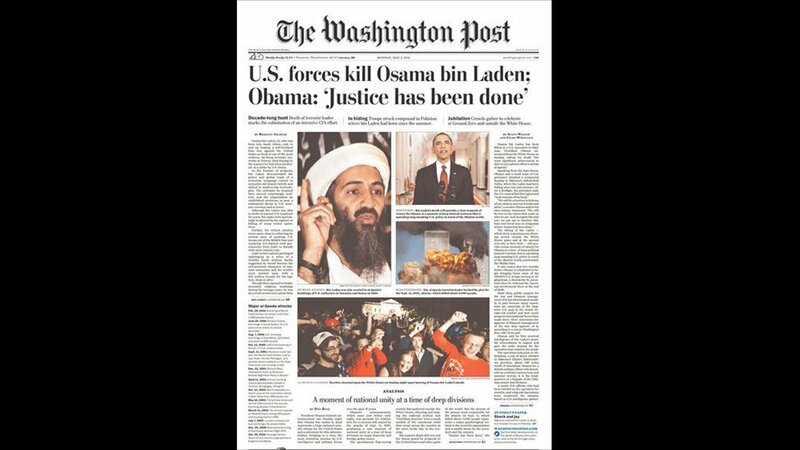 The Washington Post focused on President Obama's statement that justice had been done. 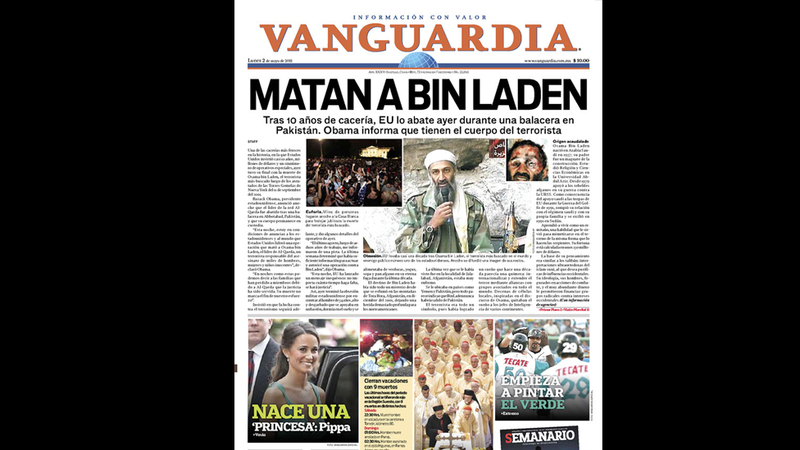 The Vanguardia newspaper in the city of Saltillo in Mexico reports "Matan a Bin Laden", which translates to "They killed Bin Laden" in English. 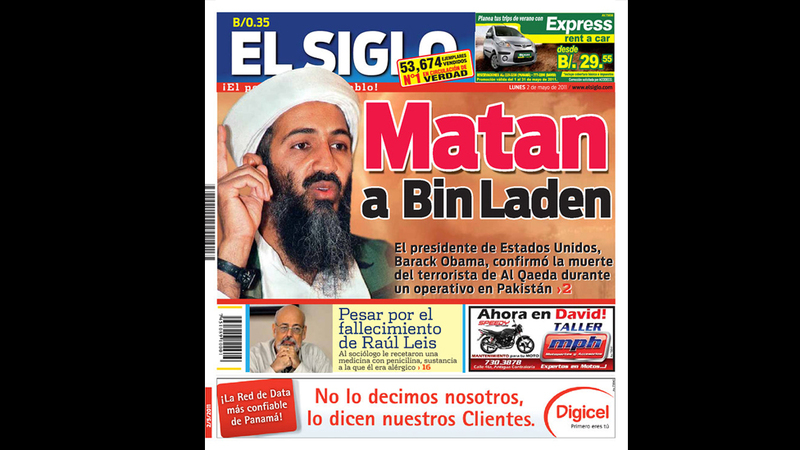 El Siglo newspaper, published in Panama City, Panama, used a large image of Bin Laden on the front page of their 2 May newspaper. The Daily Observer from the city of Kingston in Jamaica used a simple headline along with the description "Most wanted terrorist slain by US forces in Pakistan". 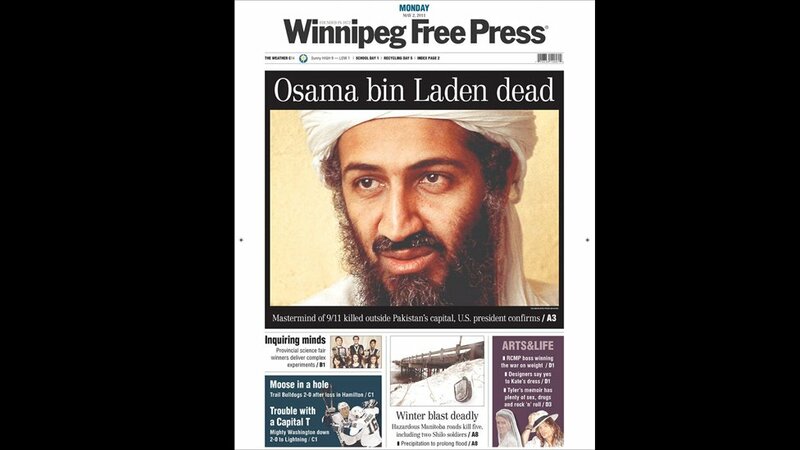 The Winnipeg Free Press in Canada featured a large image of Bin Laden on the front page of their 2 May issue. 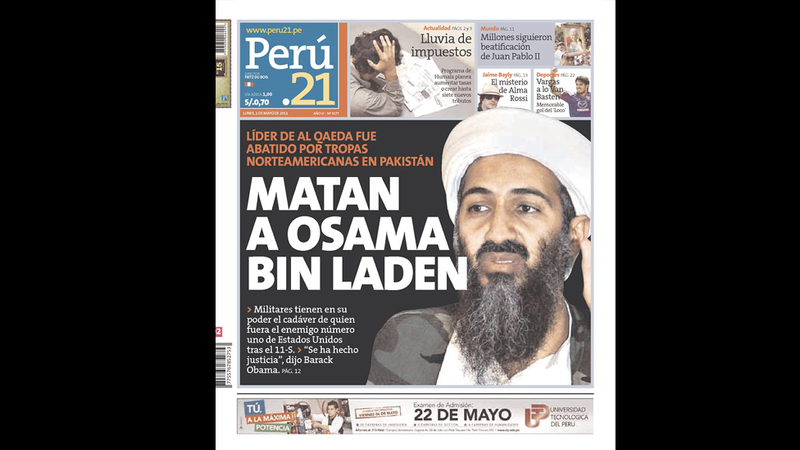 The Peru.21 newspaper published in Lima in Peru published the headline "Matan a Osama Bin Ladan" -- "They killed Osama Bin Laden". The New York Times republished an image of the World Trade Center being attacked on 9/11 in their 2 May issue, reporting Bin Laden's death. The newspaper El Nuevo Dia in Puerto Rico reported "Muere Bin Laden" - "Bin Laden dies". 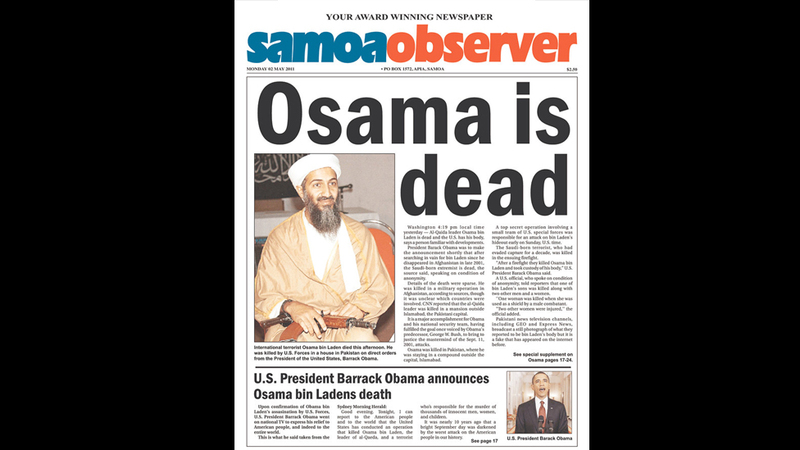 The Samoa Observer, based in the city of Apia, is published five days a week in both English and Samoan.